Here you can find press releases and interviews when they come out, as well as any videos and photos. The words getting out! My upcoming album, Samsarana, got its first review...and its a great one! "... a collection of inspired, thought-provoking compositions performed by a talented musician..."
"... a lesson on how to produce music..."
"... listening to such an album can be an exhilarating experience..."
"... A masterful blend of mainstream sensibilities, socially-aware lyrics, intriguing atmospheres and stunning instrumental and vocal performances..."
South Florida based musician and songwriter Barry Weinberg is set to launch his Prog Rock influenced album Samsarana in January 2018. The first single, “Beyond the Astral Sky,” is an anthem, gorgeous track with soaring vocals. 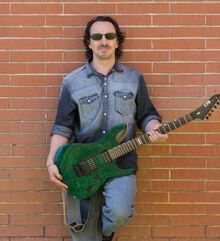 The song is the first in the series of singles taken from Samsarana, a release that sees the musician exploring through a number of styles evolving around Prog Rock. South Florida’s Barry Weinberg is set to release his debut album “Samsarana” in January 2018, a “cinematic rock experience” that is also a semi-autobiographical release that’s been in making for many years. In a new interview, Barry tells us about what it took to write this album, and more. January is coming! 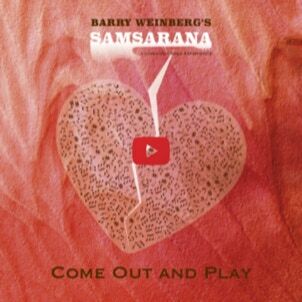 Prog Rock singer-songwriter Barry Weinberg is ready to launch his debut full-length release Samsarana. This personal achievement that’s been in the works for years packs 75 minutes on 15 songs. The full track listing and album art are announced today. revealed so far, the album has all predispositions to be labeled as a multifaceted release. is today announcing the imminent release of the first single. that sees the musician exploring through a number of styles evolving around Prog Rock.